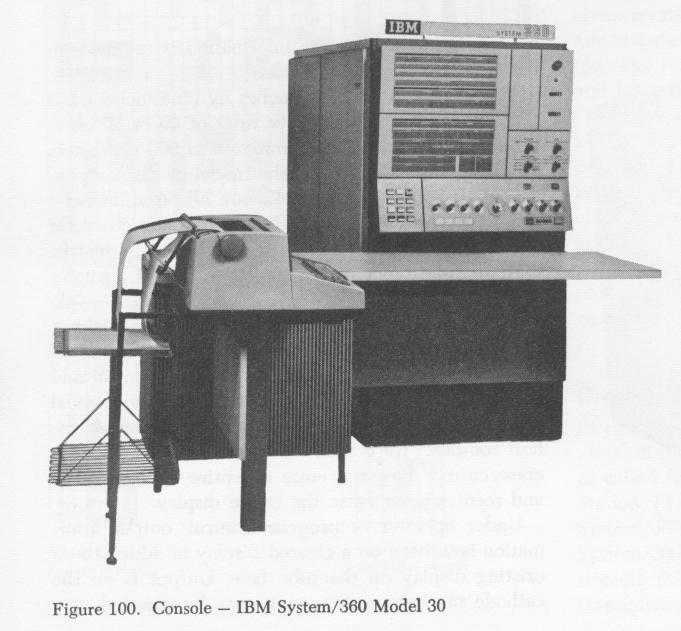 The IBM 360 range was announced on April 7th 1964, and the Model 30 was the baby of the line. It was developed by IBM's General Products Division at Endicott (NY), and the first example was shipped in June 1965. Some years later I did a writeup on the trials and tribulations of getting this system working again which was lovingly preserved by Nigel Bree. One error I should point out in the above document is that the microcode is not interleaved, and no attempt is made to overlap microcode fetches with execution. It is also available in German thanks to Arno Kletzander. I am quite sure this computer is the one shown in the last photo on this page, arriving in Australia in 1966. 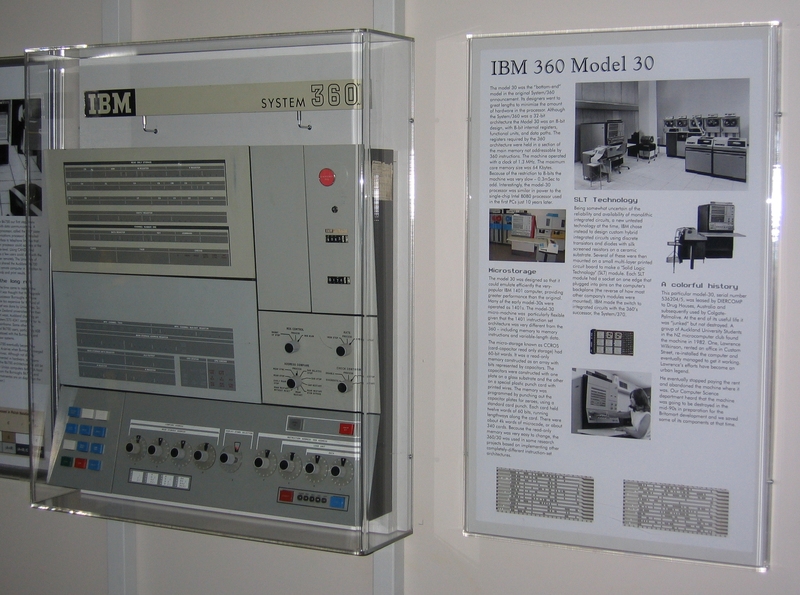 Internally, the Model 30 uses 8-bit data paths and registers to provide the IBM 360 architecture. The main storage is arranged as 64k x 9bits (including parity). 16bit registers are used for storage addresses, but must be loaded 8bits at a time. The microcode is 4k x 55bits wide, with a cycle time of 750ns. 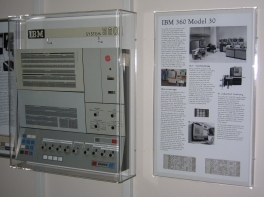 For a fuller description of the internals of the Model 30, see the FETOM, which is amongst the IBM manuals accessible from the links page. The /22 was a re-worked /30 fitted with 24k or 32k of semiconductor (MOS) memory. It was actually released after the announcement of the 370 series. Select the VHDL link for a page concerning my 360/30 Emulator in VHDL. I know that these are available on Bitsavers, but if anyone has paper copies they can spare, please let me know.